The InMexico.com Gold awards recognize the best of the best throughout the popular tourist destinations of Los Cabos, Playa del Carmen, Puerto Vallarta and Punta Mita in categories including resorts, boutique hotels, suites, spas, dining, nightlife, bars and cabanas, adventures, wedding venues, places to invest in real estate and golf. The InMexico.com Gold lists provide readers a luxury guide of all of the best things to see and do in Mexico. Among the awards are the Best Places to Invest in Real Estate, ranging from ultra-private, upscale communities to new resort-branded condos and more. The winners include some of Mexico’s most exclusive developments and communities with the best lifestyle amenities around, ideal for family vacation homes, investment properties and more. Whether you’re looking for a second home or a chance to make a return on your money, these winners will do both. The InMexico.com Gold real estate winners are sponsored by InMexico Real Estate Group, founded by Jason Mitchell, Arizona’s top producing real estate agent and Michael Dee, Mexico’s luxury living guru. 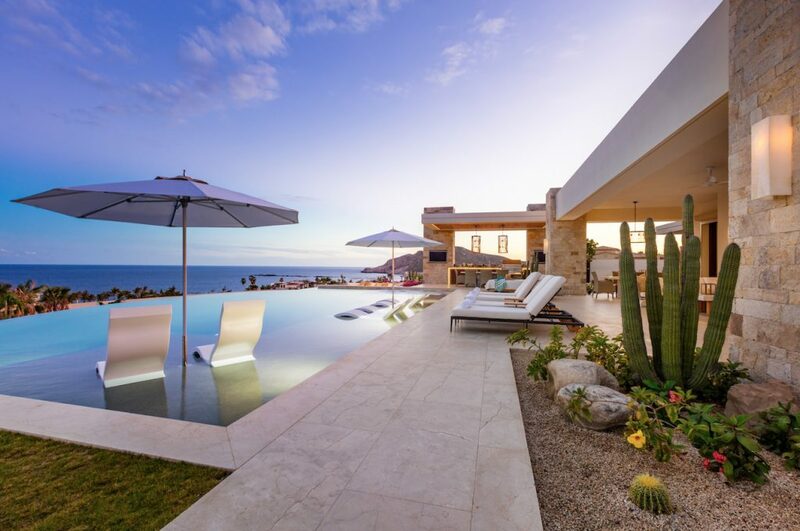 InMexico Real Estate Group specializes in connecting buyers and investors with high-end residential communities ($1 million+) across Mexico’s resort towns that feature state-of-the-art security, technology, world-class amenities and the highest level of service. With more than 20 years of knowledge and experience working with top developers and luxury brands, InMexico Real Estate Group knows the market. 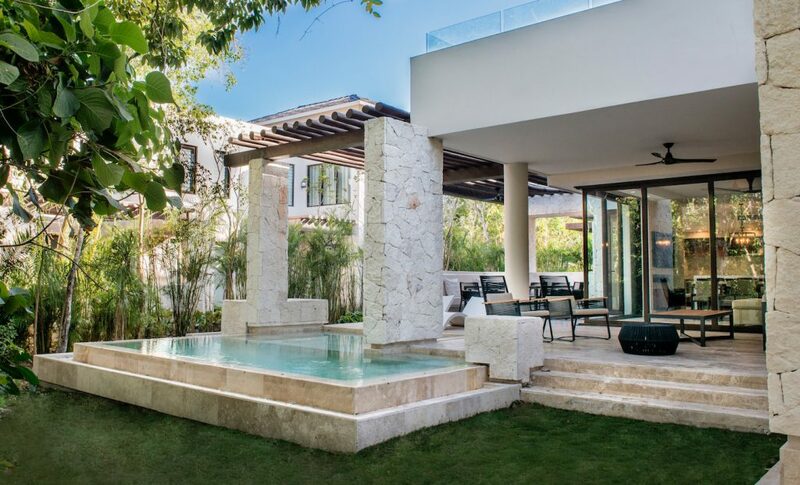 Located inside the eco-friendly resort development of Mayakoba, residential offerings include the completed Banyan Tree Residences with full ownership starting at $1.2 million and a rental program option and Rosewood Residences with full ownership starting at $3.3 million. The newest offering, Fairmont Heritage Place, offers three- and four-bedroom villas with the option of whole ownership or one-twelfth fractions starting at $185,000. Buyers can choose from lagoon and golf-view locations and homeowners also have access to the services and amenities of all four resorts plus El Camaleón Mayakoba Golf Club and more. This private oceanfront residential community stretches across 260 acres and offers buyers the choice of villas, townhomes or custom homes and home sites. Exclusive to residents, a 60,000-sq.-ft. clubhouse includes a three-level infinity-edge pool with water slide, lap pool, hot and cold plunge pools and a Jacuzzi plus a variety of fitness amenities and outdoor activities for kids. Miles of hiking and biking trails allow residents to enjoy the desert life while an 18-hole putting course and access to the Twin Dolphin Golf Club and the Fred Couples Signature golf course (coming in late 2018) offer plenty of ways to tee up. 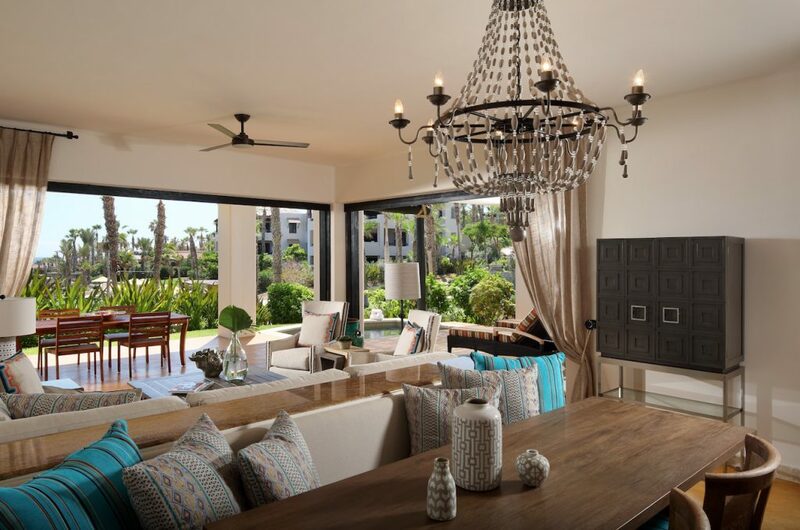 Homeowners also have access to the amenities at Montage Los Cabos. Starting at $3 million. Located on the Pacific side of Cabo San Lucas, Diamante offers a blend of residences for full ownership and timeshares. A variety of options are available including the newest real estate and residence club development The Ocean Club Residences, a multi-unit beachfront development. Starting at $1.65 million, plans include two-, three- and four-bedroom residences over three phases that will include four pools, three bars and restaurants, a fitness center, a spa, kid’s club, retail shops and lounge areas. The first phase will be completed January 2018 with 29 residences, a pool and beach club, food and beverage facilities and a handful of other amenities. Golf-lovers can take their pick from the golf villas, which are located around the Dunes Course and Oasis Short Course. 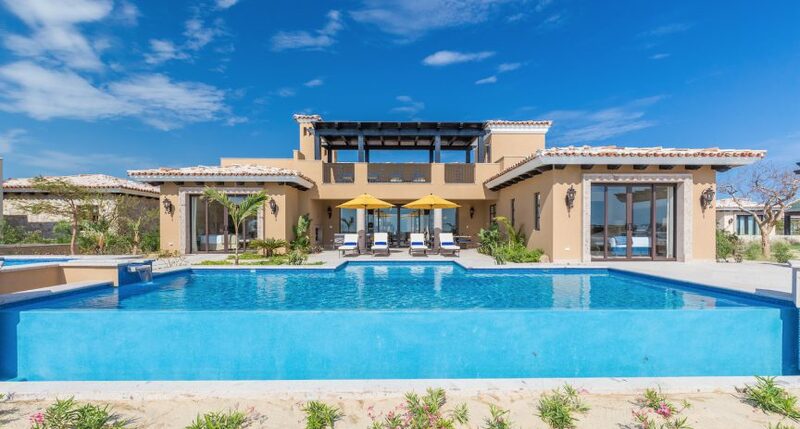 Ranging in size from 4,200 to 5,500 square feet, these four-, five- and six-bedroom villas are styled after Mexican haciendas with large courtyards and a variety of outdoor amenities like infinity-edge pools, indoor-outdoor showers and a terrace fireplace. Golf villa pricing starts at $2.2 million. For a smaller option, Las Casitas feature a three-bedroom floor plan with more than 2,000 square feet of air-conditioned space as well as rooftop terraces, Jacuzzis and more, and start at $850,000. Additional real estate options include Sunset Hill Estates, Beach Estates, and Dunes Club Penthouse Suites. 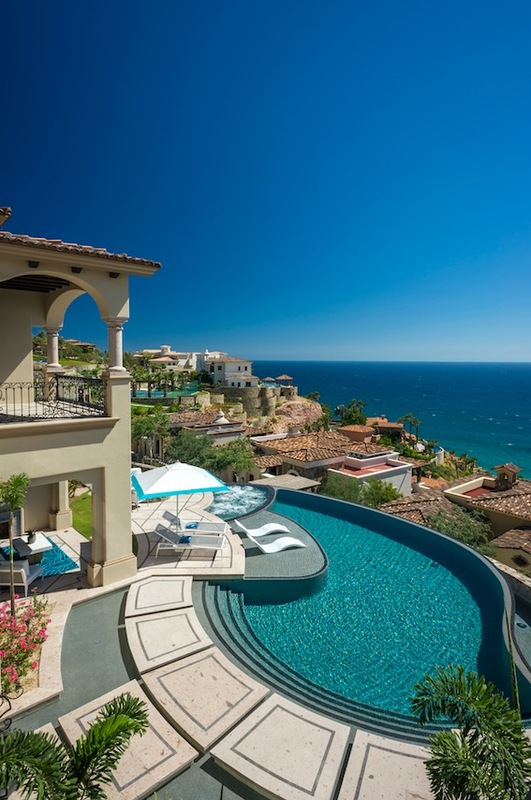 Situated in beautiful Palmilla, Del Mar Los Cabos is home to a variety of custom homes, homesites and condominiums throughout its amenity-laden communities that include Villas Del Mar, Espiritu, La Cresta, La Montaña and Oasis Palmilla. Neighboring the famed One&Only Palmilla resort, this community offers an unrivaled location in one of the most elite areas of Cabo. Del Mar Real Estate is the exclusive real estate division of this private residential community and is a branch of Del Mar Development which was founded more than 20 years ago. Ranging from $1.8 million to $33 million. Just 30 minutes from the Los Cabos International Airport is Discovery Land Company’s newest Los Cabos community, Chileno Bay Golf & Beach Club. Boasting 1,260 acres of desert mountain settings and coastal and beach frontage, the private community offers 400 residences ranging in size from one-half acre to one acre and include custom homes and homesites, haciendas, villas and casitas. Community amenities include an 18-hole Tom Fazio signature golf course; a private oceanfront beach club with two club yachts, spa facilities, a fitness center, three resort-style swimming pools, dining options and a member’s lounge; and The Park that’s now under construction and will include sporting facilities, gaming areas and more. 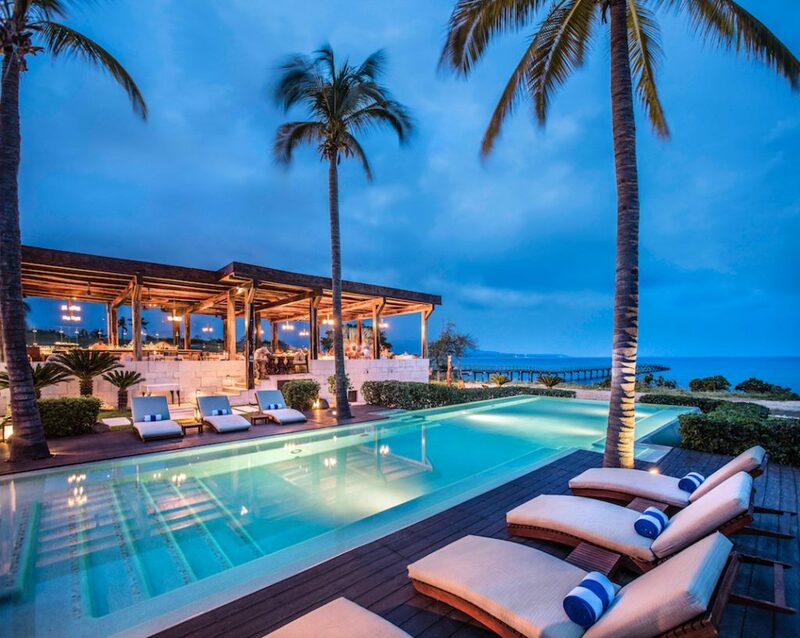 Additionally, the community is home to the new Chileno Bay Resort & Residences, by Auberge Resorts Collection and has a safe year-round swimming beach on Cabo San Lucas’ only coral reef. The community also offers Discovery Land Company’s signature Outdoor Pursuits program which assists members with a variety of recreational activities like surfing, boating and more. Early pricing starting in the $3 million range. 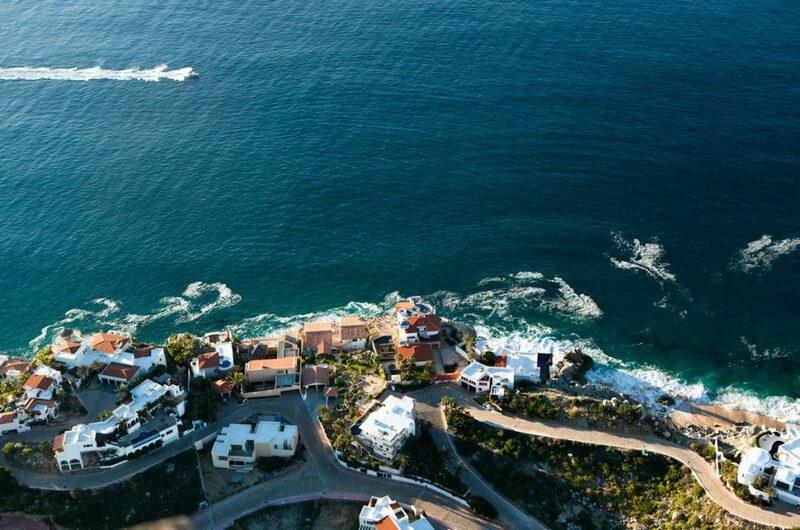 As Los Cabos’ first luxury residential community, Pedregal de Cabo San Lucas is conveniently situated just minutes from the Cabo San Lucas Marina and downtown. Founded by Mexico City developer Don Manuel Díaz Rivera in 1974, Pedregal, meaning “stony place,” is perched high above the Pacific Beach in a rocky landscape. The gated community offers 360-degree views and is home to some of Cabo’s most extravagant estates. With its very own architectural review committee, construction plans ensure that every lot never loses its view. Additional amenities include a private Tennis Club, El Rincon’s private Spa & Fitness Club, a children’s park and playground plus a private bilingual school for grades K-12. 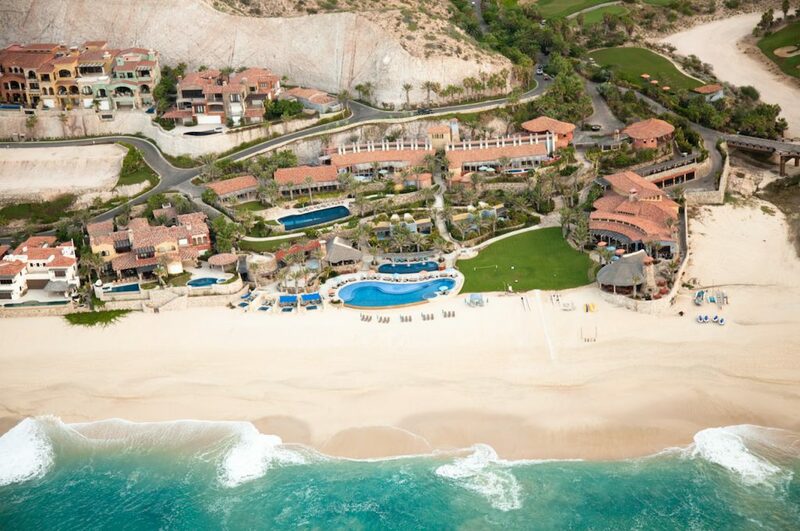 Just 45 minutes from the Los Cabos International Airport, the East Cape is a place where the “old Baja” vibe still lives and where the new 1,000-acre private beachfront resort community Costa Palmas is located. 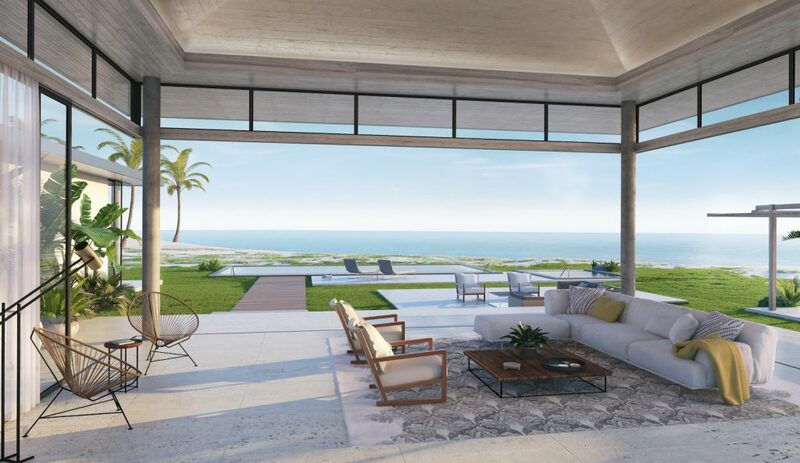 Home to the new Four Seasons Resort and Private Residences at Costa Palmas, buyers’ options include whole-ownership oceanfront, marina- and golf-side Four Seasons Private Residences along with custom single-family oceanfront Four Seasons Private Residence Villas. Owners will be able to take advantage of the resort amenities which include multiple pools, dining outlets, a full-service spa and fitness facilities. A 250-slip marina, a beach and yacht club, an 18-hole Robert Trent Jones II golf course and two miles of swimmable beach will also highlight Costa Palmas. Starting at $1.5 million. Opening in May 2018, residences will be offered in two- and three-bedroom layouts and feature open floor plans, ground-floor plunge pools and spacious terraces that look out on Santa Maria Bay. An optional lock-off bedroom allows the opportunity for renting out and extra privacy. Amenities include a 20,000-sq.-ft. two-level pool, tennis courts, dining outlets, award-winning Spa Montage and access to the Fred Couples Signature golf course. Starting at $2.7 million. Located adjacent to the resort, these three- and four-bedroom villas range in size from 3,800 to 4,000 square feet and offer spacious indoor-outdoor living space, a full kitchen and dining area and bedrooms with private baths. The residences also include private hot tubs and private plunge pools, depending on the floor plan. Just 15 minutes from the Los Cabos International Airport in the gated community of Puerto Los Cabos are The Enclaves, a notable collection of Ritz-Carlton Reserve Residences. The development’s first phase, West Enclave, included 27 four- and five-bedroom single-story villas located oceanfront with only nine remaining (at time of print). Homeowners have privileged access to Zadún, a Ritz-Carlton Reserve resort, set to debut in 2018 as the fourth resort in the prestigious Ritz-Carlton Reserve portfolio. The second phase of the Enclaves will comprise of three-bedroom condominiums and four-bedroom penthouse residences located on a hillside with unprecedented views just above West Enclave. Condos will be released early 2018. As part of the new Solaz, a Luxury Collection Resort (expected to open March 31, 2018), The Residences have already been awarded for its design and architecture. 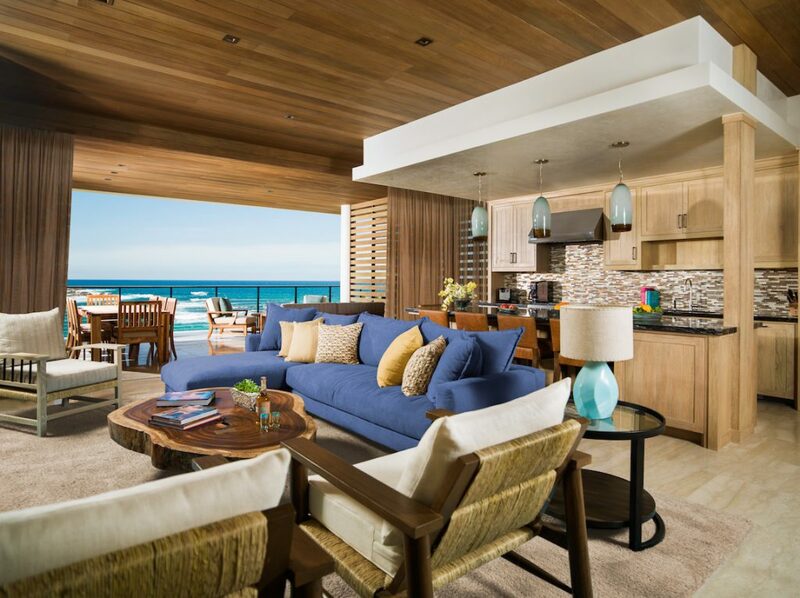 Floorplans feature three bedrooms and three-and-one-half bathrooms with custom kitchens and spacious oceanfront terraces. 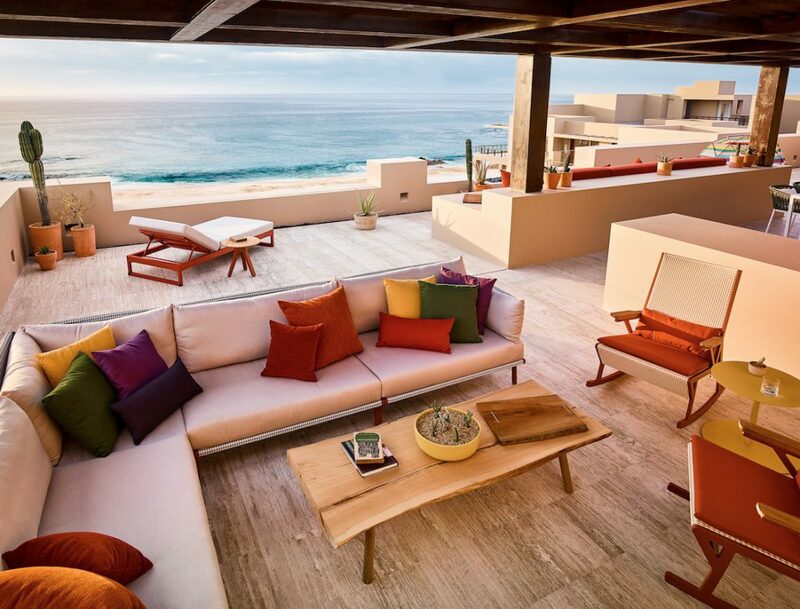 Designed by the award-winning Mexican architectural firm Sordo Madaleno, the residences reflect the natural hues of the ocean and desert with a clean, modern look. Owners will be able to take advantage of the resort’s amenities including tennis courts, a fitness center, water sports, Gabinete del Barco archeology exhibition and Ojo de Liebre Spa, the only Thalasso wellness spa in the Baja. An art catalogue will also be available exclusively to owners which features a private collection of original custom-made design pieces by César López-Negrete. Starting at $2.1 million, with prices expected to increase after opening. 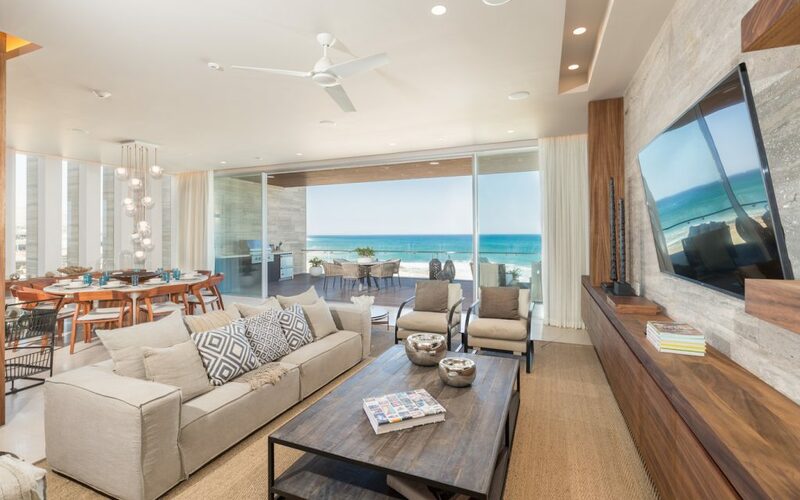 Designed by Glazier Le Architects and Girvin Associates, the three- and four-bedroom beachfront villas offer indoor-outdoor living with a contemporary style. Ground-level villas feature a private plunge pool while the upper-level villas have a private Jacuzzi and an outdoor shower. Additional amenities include floor-to-ceiling windows, native materials and gourmet kitchens, plus access to the Chileno Bay Resort’s amenities. Owners have the option of whole ownership or can take part in the Chileno Bay Resort rental program. Situated in between One&Only Palmilla and Las Ventanas al Paraiso, a Rosewood Resort, El Dorado Golf & Beach Club spans 520 acres and features more than one mile of coastline with custom homesites, ocean-view bungalow-style casitas and villas and the newest offering of four-, five- and seven-bedroom units in the Hilltop, the newest area of El Dorado. The Hilltop’s units include floor-to-ceiling windows and southwest-facing views with a private pool or spa. The community also has an award-winning 18-hole Jack Nicklaus-designed golf course and an array of amenities like a beach club, resort-style pools and Discovery Land Company’s signature Outdoor Pursuits program. 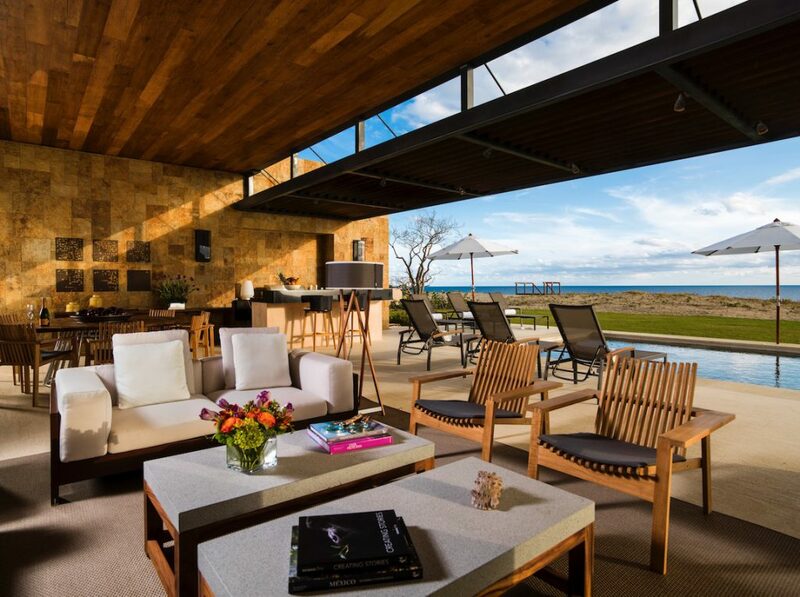 Located on a 1,500-acre private peninsula in the Riviera Nayarit, Punta Mita is home to countless residential developments with an array of whole-ownership real estate options including condominiums, home sites and lots, beachfront estates, residences and a variety of villas including the Four Seasons Private Villas. 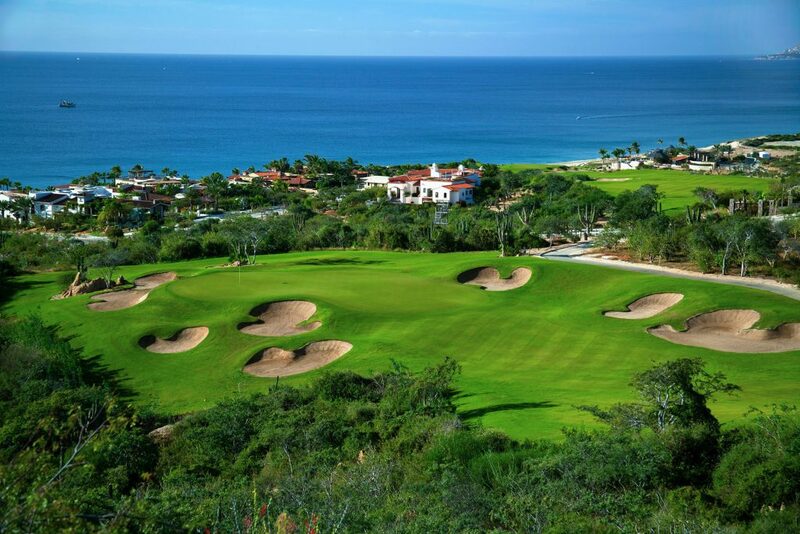 Community amenities include two beach clubs, an ocean sports program, a tennis and fitness center, two Jack Nicklaus Signature golf courses and access to amenities at the Four Seasons Resort Punta Mita and The St. Regis Punta Mita Resort. Located on the same latitude as the Hawaiian islands and boasting nine-and-a-half miles of coastline, Punta Mita is true paradise. And now might be better a time than ever to invest; Punta Mita is currently undergoing a master plan re-imagination that will usher in new amenities and additional hotel and residential offerings. Prices range from $500,000 to more than $20 million. Puerto Los Cabos is a 2,000-acre master-planned resort community with four distinct neighborhoods including Fundadores, the community’s first and largest neighborhood; La Noria, an intimate collection of homes where nearly every one is located along the fairways of the Jack Nicklaus signature course; and El Altillo, situated on a ridge overlooking the marina. The Enclaves, A Ritz-Carlton Reserve Residence are the newest addition to the residential offerings. The community’s amenities include a 200-slip marina, 18 holes of Jack Nicklaus Signature golf and an additional 9 holes of Greg Norman Signature golf. A new golf pro shop and a member’s lounge recently opened at the end of 2017 and a beach club is also coming soon.